Two multi-outlet restaurants each have recently closed one of their locations. The Famous Dave’s Bar-B-Que restaurant at 1360 Veterans Pkwy, in Clarksville, which opened in 2005, has ceased operation. 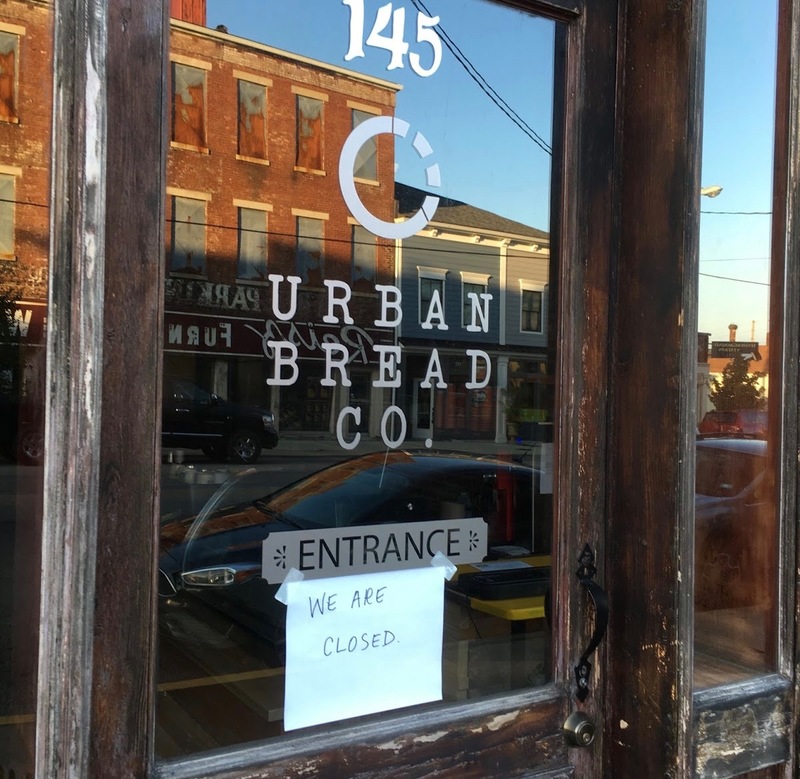 And Urban Bread Company, which expanded from its Jeffersonville birthplace into New Albany, has closed that location at 145 E. Main St. Customer traffic at Famous Dave’s in Clarksville had been declining since 2014, according to a story in the Clarksville News and Tribune. Owner Frazier Lebus attributed that drop to the tolling of traffic crossing on the Ohio River Bridges Project. Southern Indiana business owners had worried that tolling motorists would discourage people from crossing casually to patronize Southern Indiana businesses. The Famous Dave’s restaurant at 8605 Citadel Way in Louisville is still smoking. Tolls are not an issue for Urban Bread Co., which added its New Albany store six months ago, but co-owner Sam Jones said in a News and Tribune story that the customer base never reached a profitable margin point. Urban Bread Co. will instead put more energy and resources into its Jeffersonville stores. The restaurant, famous for its sandwiches made with flat, roti bread, recently had a grand opening for its new location in Jeffersonville, while also expanding its operations at Flat12 Bierwerks. Urban Bread Co. recently moved from its original location on 10th Street location to the new Clark County Auto Auction building at 1000 Auction Lane. The restaurant opens at 8:30 a.m. for breakfast; lunch service is noon to 3. At Flat12, Urban Bread Co. will be open for Wednesday through Saturday, serving from noon to 10 p.m. The New Albany Urban Bread Co. was in a space leased from Match Cigar Bar New Albany. Owner Jeff Mouttet hopes to get another restaurant to move into that space. Match will still serve Urban Bread Co. food at its Jeffersonville location at 207 Spring St.